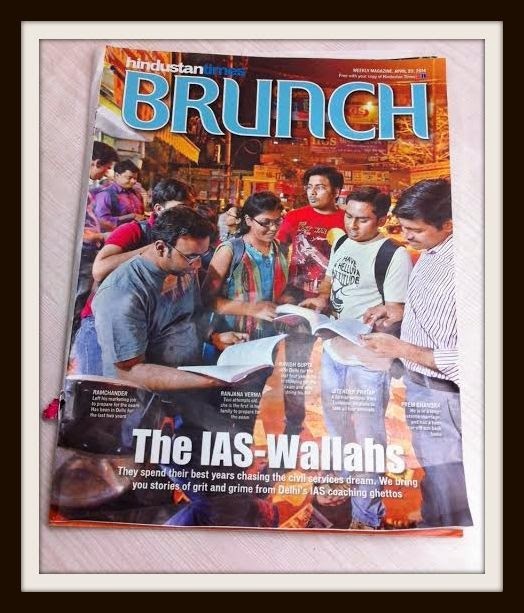 “The IAS-Wallahs”. Amid the high-voltage general elections when apolitical news have virtually disappeared from newspapers, both national and regional, there was a highly readable piece on Sunday in HT’s popular magazine called Brunch about young men and women spending their best years chasing the civil services dream. Putting together many anecdotes and live examples, it also narrates lives of what it calls IAS coaching ghettos of Delhi viz. Mukherjee Nagar, Rajinder Nagar and Jia Sarai. In fact, over five lakh aspirants appear for this year-long and three-tier civil service examination, and out of them only 1,000 get selected, making it one of the toughest examinations on earth. According to the article, Delhi’s Mukherjee Nagar locality alone houses over 50,000 civil services aspirants taking coaching in as many as 300 private institutes. Some aspirants work hard, even 18 hours a day, to crack the exam and get into a challenging career. 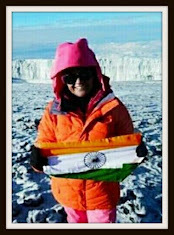 But for many, who come all the way from Bihar, Madhya Pradesh or Kerala, it is an effort to fulfill their families’ collective ambition. The article narrates examples of an Infosys executive leaving the job and trying his luck in IAS, and another who joins as a banker after many failed attempt to crack civils. Like the pilgrims who create business in holy cities, IAS aspirants help local residents to earn a little more. The monthly rent for a single room in Mukherjee Nagar, for example, is anywhere between Rs 10,000-15,000. It’s even higher in Rajinder Nagar. Jia Sarai is comparatively cheaper where rooms are available at Rs 7,000 per month, according to the article. One who can crack civil, the toughest exam on the Earth makes a great difference. Really it is a sudden outcome of long long efforts. Civil Services gives only a "middle" middle class life with a pathetic salary. The highest scale in the civil services is the Cabinet Secretary who only earns just Rs. 90,000 (the post is only one. The highest a person can aspire for Secretary, GOI or Chief Secretary whose salary is only Rs 80,000. However the entry level salary at private sector is thrice of what the Cabinet Secretary earns. I appeal people not to waste their time in civil services which in the world is now known as most corrupt (ranks as per Singapore, UN and China), lethargic and politically ambitious. How much power and prestige does your private sector offers you? Civil service is not about money only. There are other things too. Asfor the salary part, you have only posted the basic salary and not added other parks. The current pay package of CS is around 2.20,000 and Sec, is 2,00,000. As for the corruption, don't say that your beloved private sector does not have any. It is your corporate bosses that offers the actual bribe to the politicians and bureaucrats to clear the files. Therefore, try not to defame the civil service alsone and give a look inside your private sector which has nothing except money. No power, no prestige and neither job satisfcation or security, which is the most desired thing from a job. I have seen everything and encourage more people to join civil service rather than the private sector. He probably couldn't successfully clear the exams and that is why he wants people not to o pursue this exam. Private sector? A joke.